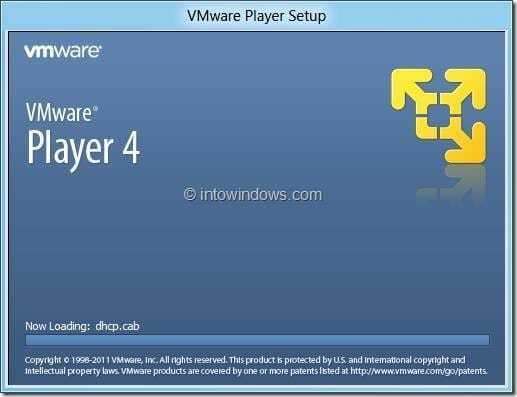 Now that VMware Player has been updated to support Windows 8 Developer Preview build, it’s high time to install Windows 8 on VMware Player. 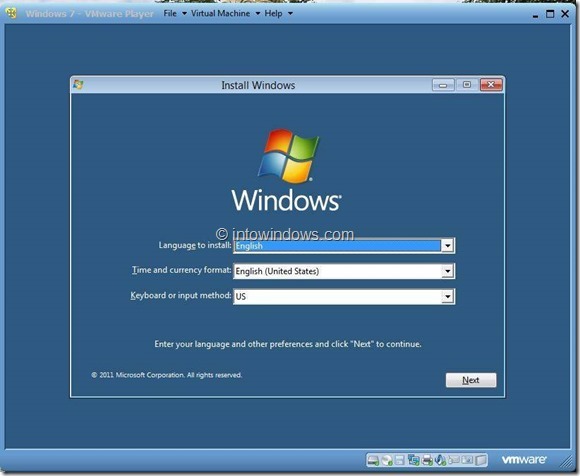 Those who have been eagerly waiting to test drive Windows 8 on VMware can now easily install Windows 8 without any issues. 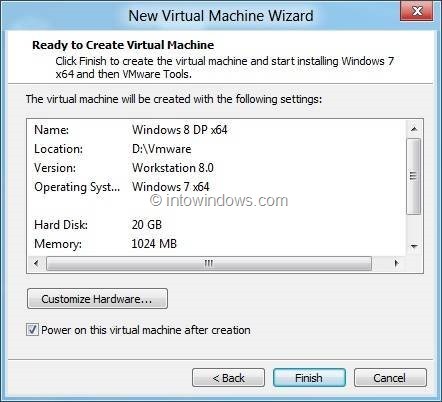 In this guide, we will show you how to easily install Windows 8 on VMware Player virtual machine. Step 1: In order to install Windows 8, first download Windows 8 ISO file from Windows 8 Developer’s site. You can also download using these direct download links. Step 2: Once you have the ISO file, download VMware Player 4.0 from here. 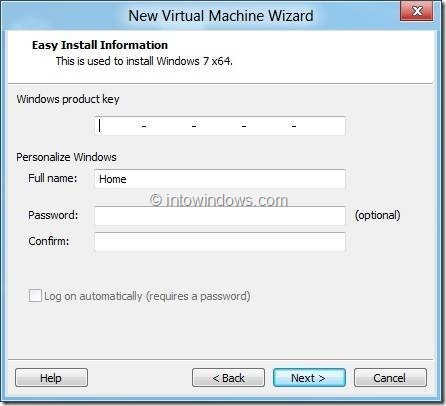 A single installer is available for both x86 and x64 version of XP, Vista and Windows 7. 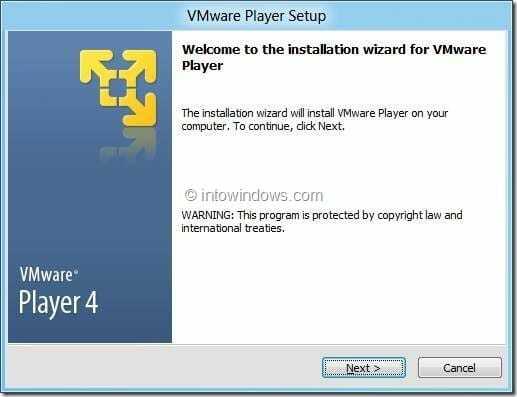 Run the installer and follow the on-screen instructions to complete the installation procedure. You will be asked to restart your PC once the setup is finished. 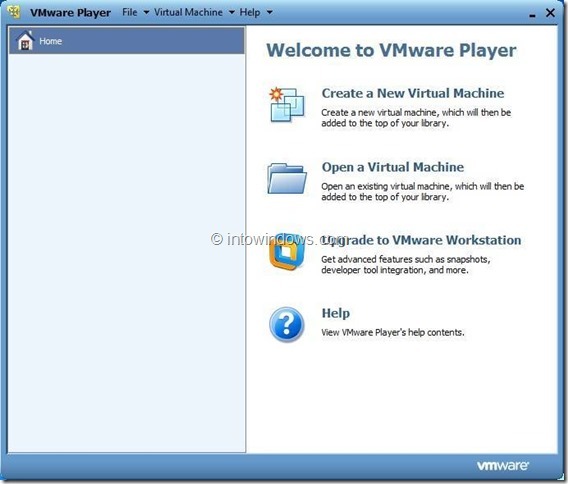 Step 3: Run the VMware Player by double-clicking on the VMware Player shortcut on the desktop. On the first run, you need to accept the license agreement. In the home screen of VMware Player, click Create a new Virtual Machine option to launch New Virtual Machine Wizard. Step 4: The wizard will offer an option to browse to the Windows 8 ISO file that you have just downloaded. 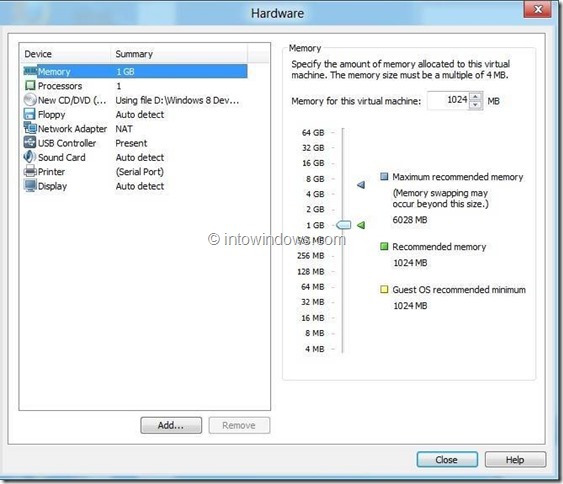 But for some reason, if you use this option you can’t install Windows 8 smoothly. So, select the other option named I will install the operating system later. 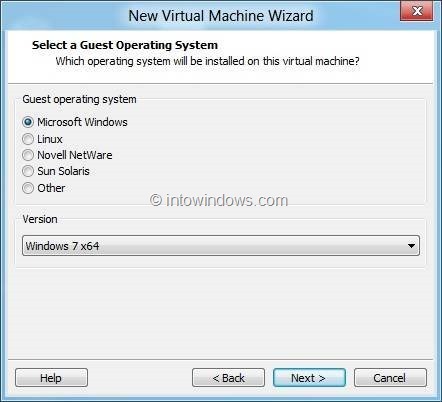 Step 5: In the following screen, select Microsoft Windows as guest operating system and Windows 7 as version. 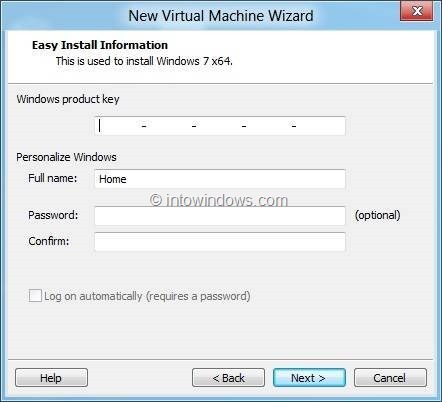 Do note that if you are installing x64 version of Windows 8, select Windows 7 x64 from the version list. 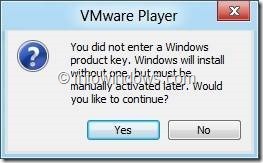 Step 6: The next screen offers you enter Windows product key so that you can have an unattended installation. As Windows 8 Developer Preview doesn’t require an activation, you just click Next button to skip this step. If you are prompted with “You didn’t enter a product key. Would you like to continue?” message, click Yes. 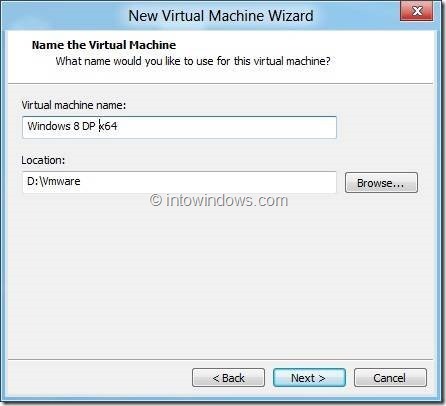 Step 7: Enter a name for your virtual machine and also a location to save the virtual machine. By default, VMware Player saves the virtual machine in Documents\Virtual Machines folder. If you don’t have sufficient space on Windows drive (host machine drive), use the browse button to change the default location. 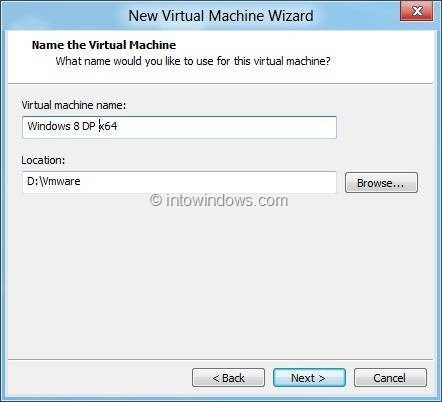 For instance, you many want to save the new virtual machine in D:\ drive. Click Next button to proceed to the next step. 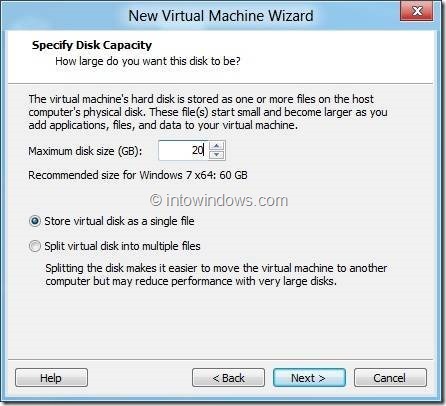 Step 8: Finally, select the disk size for the virtual machine. 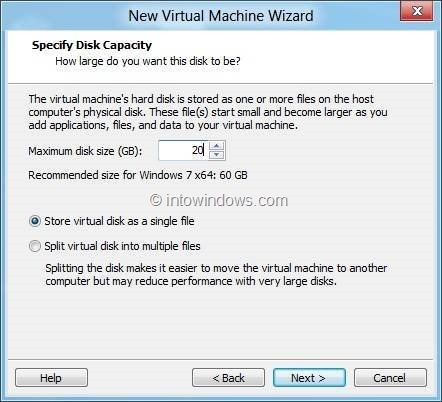 We recommend a minimum of 20 GB for the new virtual machine. 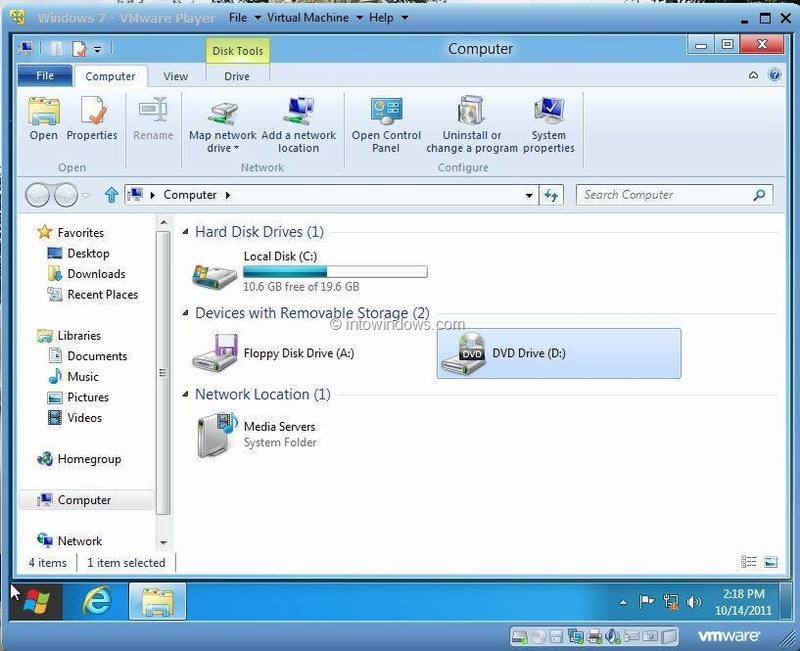 Select Store virtual disk as a single file option and click Next button. 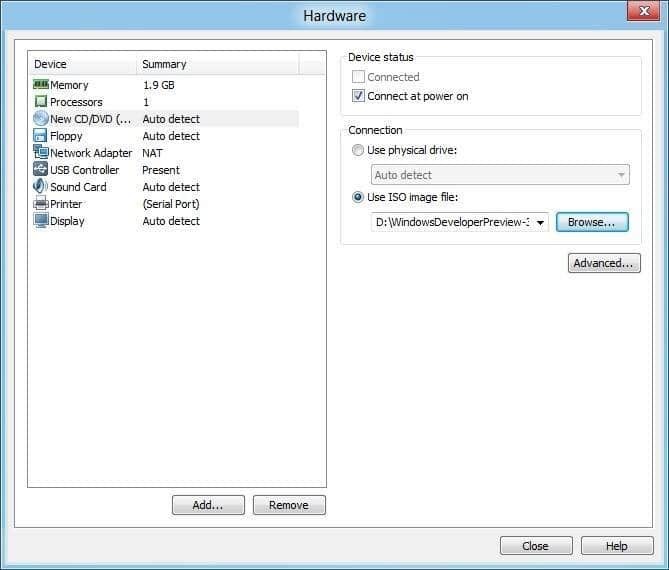 In the last screen, you can see all the settings you have just done to create a new virtual machine. 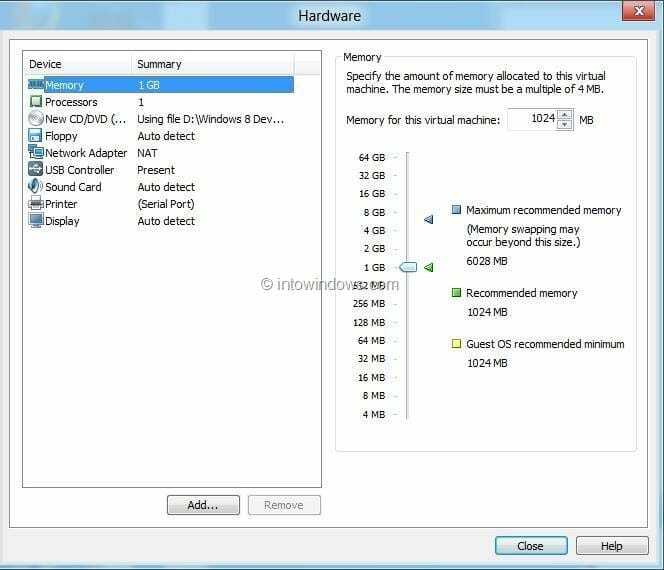 To change the memory for the virtual machine, click Customize Hardware button and increase the memory, if you have enough memory left for host machine. 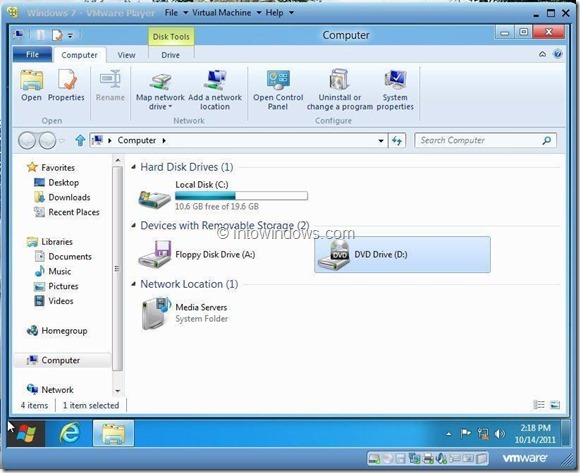 To add the downloaded ISO file as the bootable media, click on New CD/DVD option in the left pane and then use the browse button next to the Use ISO image file box to select the Windows 8 ISO file. Once done, click Close button. Click Finish button to close the wizard. 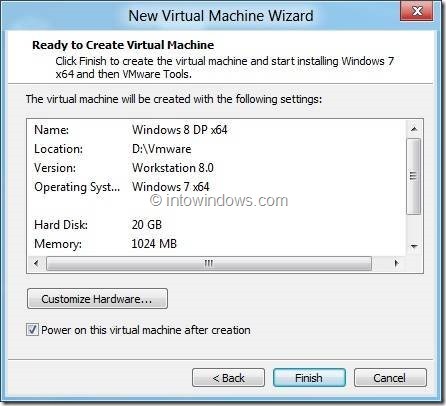 Step 9: VMware will automatically start installing Windows 8 on virtual machine. 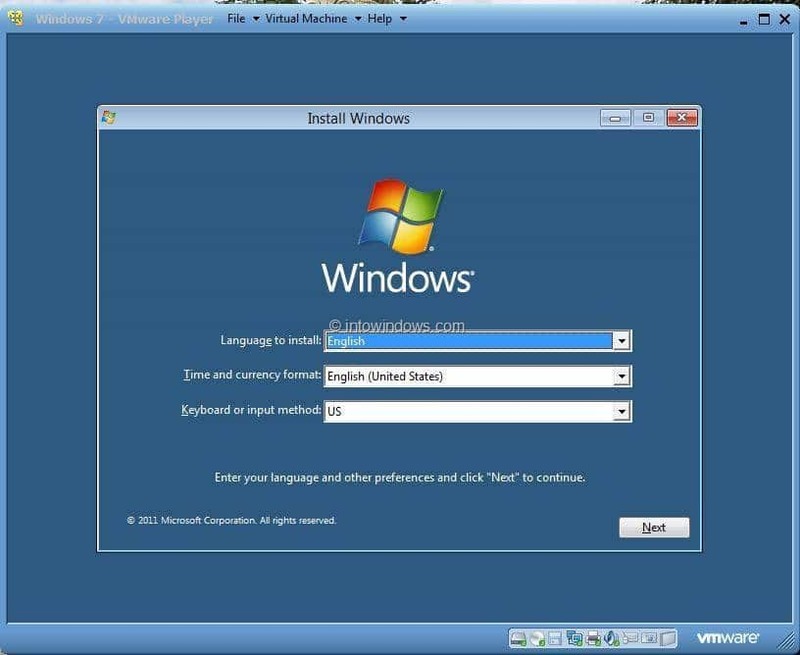 Follow our Windows 8 installation procedure to complete the installation. Good luck! 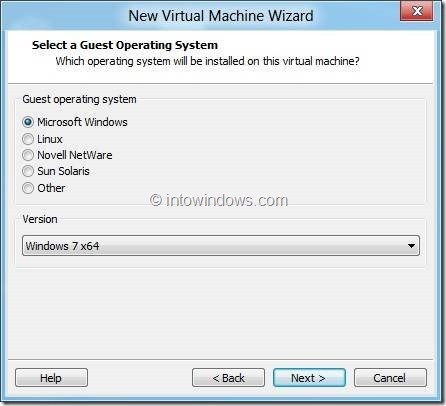 NOTE: We recommend not to install VMware tools for Windows 8 guest OS. Also don’t try install Windows 8 as guest OS on Windows 8 host machine. When we tried to install Windows 8 as guest on our x64 Windows 8, we are unable to start the installation due to some errors. I’ve had my issues with Windows 8 when it first came out, but to be honest, I’ve gotten over a lot of them. I don’t like the fact that the typical start menu has been taken away, and I’m not a fan of the tile menu, but overall I’ve actually noticed I have to go through far less clicking to get to what I want. Once you figure out exactly how to use Windows 8, you’ll be flying through all the menus at almost half the time you would on Windows 7 or XP. okay fixed my previous issue by editing the virtual settings and removing the floppy option from the edit pane. When the OS boots to install itself it says “error” windows cannot read the setting from the unattend answer file. And when I select OK it restarts the install process and says the same thing over and over…any ideas?